Saeid Badie, DDS Blog What is a Dental Bridge and How Does it Work? If you’re missing one or more teeth, there are several different options that you could use to replace your pearly whites and regain your smile. Dental implants are the most modern and advanced methods of replacing missing teeth, but they’re also the most costly. If you’re looking for a more affordable tooth replacement option, a dental bridge may be the solution you’re looking for. So how exactly does a bridge work? Here’s what you need to know. A typical dental bridge is a set of two crowns with an adjoined false tooth in between. The crowns are supported by natural teeth or dental implants on either side of the gap. Traditional dental bridges are usually made of ceramic material or porcelain infused with metal. There are also other kinds of dental bridges, such as a cantilever bridge and a Maryland bonded bridge. A cantilever bridge is a kind of bridge where the artificial tooth is anchored by one or more crowns on just one side, but not the other, whereas a Maryland bonded bridge incorporates a metallic structure with wings that are bonded to your natural teeth. Later, the false tooth is bonded to the metal and secured in place. What’s Involved in the Dental Bridge Procedure? Getting a dental bridge is a process that involves two visits to your Tucson dentist. At your first appointment, your dentist will prepare the crown sites by re-contouring them to give enough room for the crowns. Next, your dentist will use impressions of your teeth to create a three-dimensional model of the bridge, false tooth, and crown. A dental laboratory will use this model to create your prosthetics – and during the waiting period, you’ll be given a temporary bridge to protect your teeth and gums. At your second appointment, your dentist will remove your temporary bridge and replace it with your permanent bridge. Your dentist may require you to come back for a few subsequent appointments in order to get the fit just right. Your Tucson dentist will also apply a temporary cement to keep the bridge in place. Once it’s been determined that the bridge is properly fitted, you’ll be given a permanent cementing treatment to fix the bridge in proper position. The average dental patient can expect a permanent bridge to last between 5 and 7 years, but if you take proper care of your bridge, it could last for 10-15 years or even longer. To make sure your dental bridge stays in great shape, you’ll want to develop a thorough oral hygiene routine. Brushing and flossing twice per day is a great way to stop further decay and preserve the bridge. 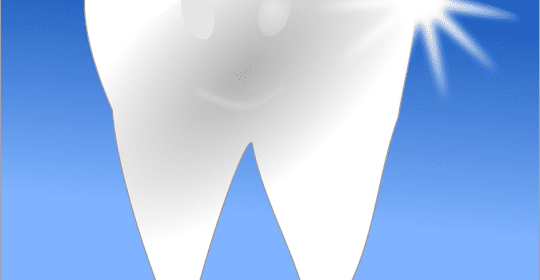 Look for a high-fluoride toothpaste like Prevident 5000. If you’re experiencing increased sensitivity in the days or weeks following your bridge procedure, temporarily using sensitivity toothpaste like Sensodyne Pronamel can help. You’ll also want to avoid doing anything with your teeth that could cause structural problems – although ceramic crowns and bridges are quite strong, they can still fracture, just like natural teeth. You’ll also want to ensure that you avoid chewing ice – the quick change in temperature could cause your bridge to fracture. Finally, make sure to clean under the false tooth twice per day. A bridge threader is a device that can thread floss around your false tooth and clean plaque. A dental bridge is a great way to restore your smile if you’ve lost a tooth. With proper oral hygiene, you can ensure that your bridge stays healthy for years to come. For more information about the dental bridge procedure, or to learn whether a bridge is right for you, call Badie Dental at (520) 433-9800.